➡️Mint Chip: a yummy chocolate and fresh flavor with organic cacao that’s also an antioxidant.————————————————-Launch Date: April 10,2018!! !————————————————-I’m about to test The Berrylicious flavor! @jonnnycall will be testing the Mint Chip! We both tried the Coco Chai and it was bomb with a Kick to it! 🙈My breath isn’t kicking anymore 😹 I been testing out the NEW @dr_brite ➡️ Bright & Fresh Mint Mouth spray and both @jonnnycall and I have honestly been loving it!! !…He smokes sooooo I definitely been loving the spray because it helps BIG TIME! 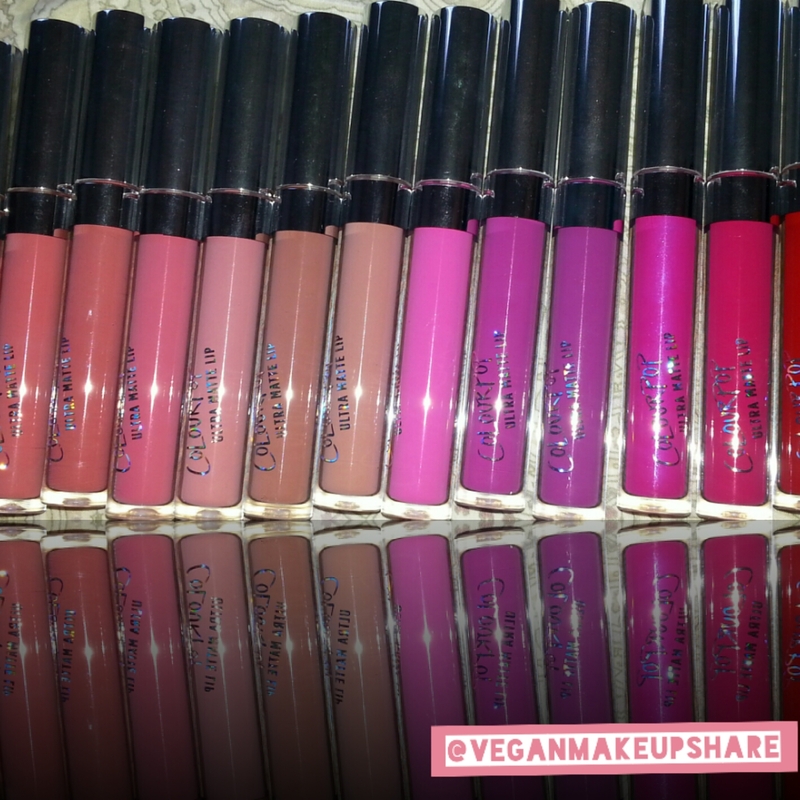 Milani Cosmetics is a Cruelty-Free company with Vegan friendly products. I been wearing Milani Cosmetics since before I became vegan and stopped using their products once I became Vegan due to the lack of knowledge. You can purchase Milani Cosmetics from multiple drug stores. 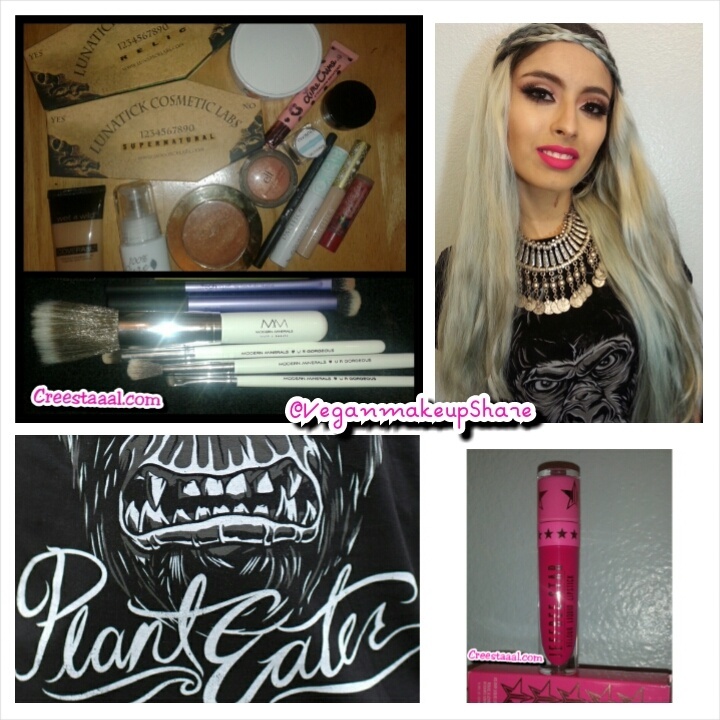 Once I became vegan I decided that I was going to stop wearing make up. For 2 years straight I didn’t wear makeup because of the lack of knowledge of what was vegan and what wasn’t vegan. I became Vegan in one day and have never looked back just forward, as I veganize everything I started to do research about Vegan cosmetics & Animal Testing I slowly started wearing makeup again and becoming more aware of what I had to do to make a change. Anyways! 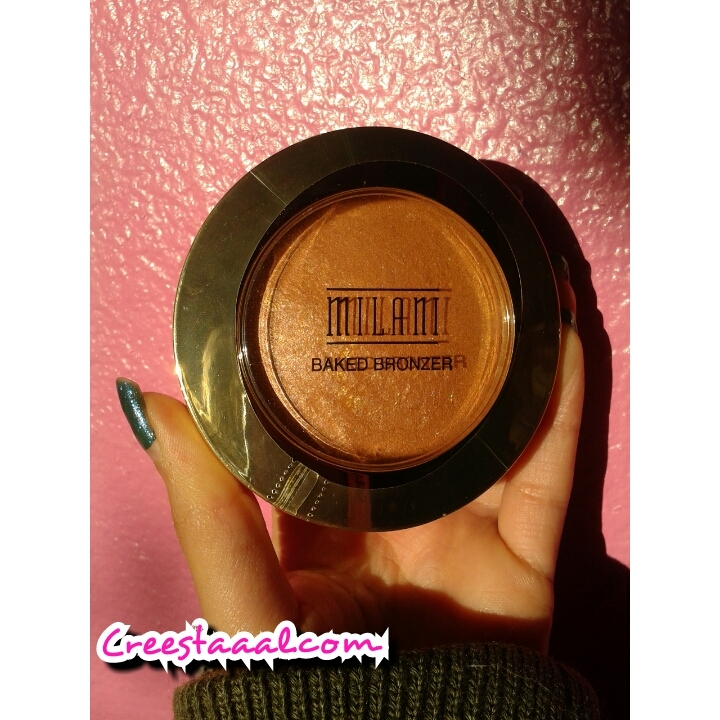 My favorite all time Vegan friendly product from Milani Cosmetics is the 04 Glow Baked Bronzer. Why? Well because I can use it for Contouring my face, my cheek bones, and also in my Crease on my lids! 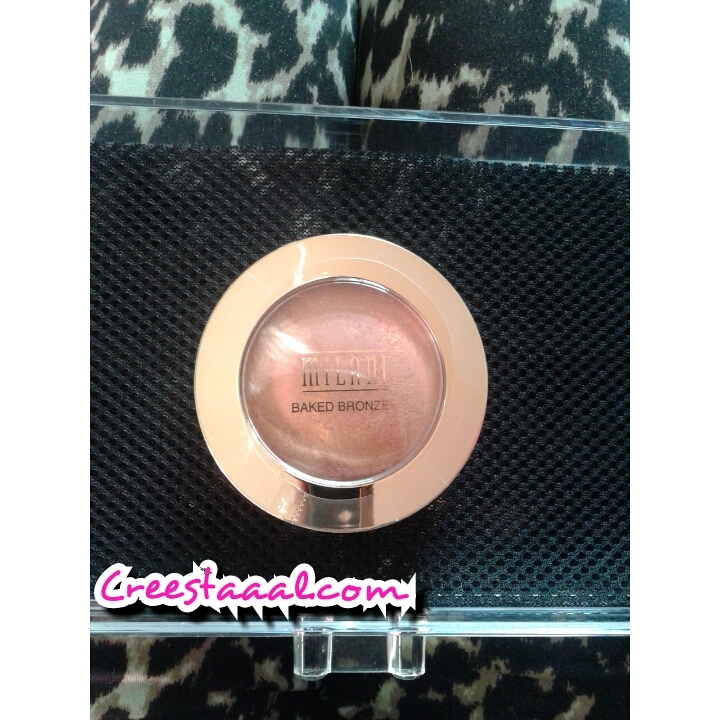 04 Glow Baked Bronzer in direct light. 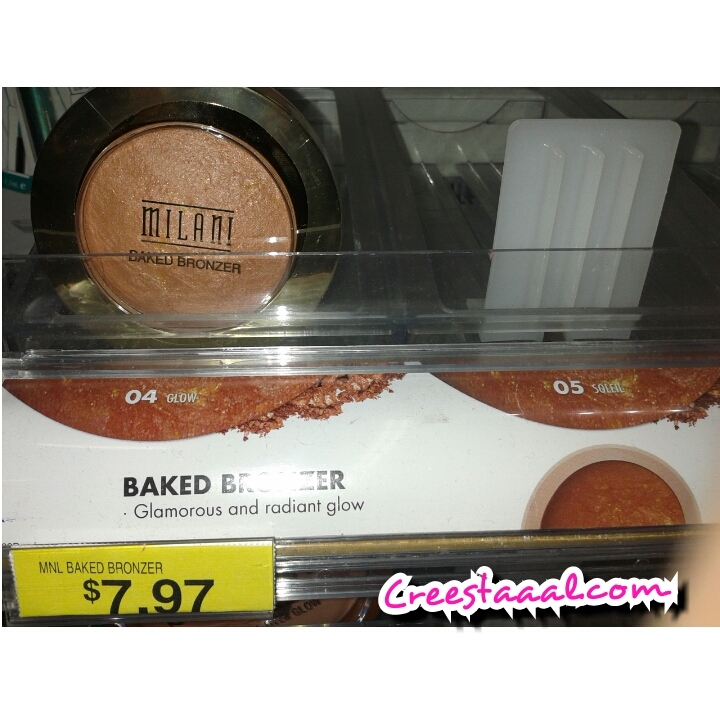 Spotted the 04 Baked Bronzer at my local Walmart Super Center. Note: Wal-Mart also carries Wet N Wild Beauty, Eyes Lips Face. 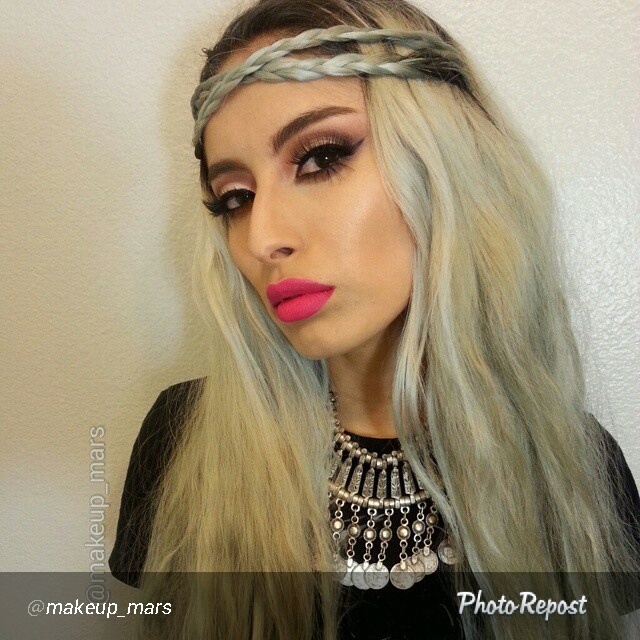 Milani cosmetics 04 Baked Bronzer Used in this look.